It was actually yesterday but Championship Manager 01/02, the best football management of all time, is now 17 years old. Here is listicle of tips, players, downloads, and articles about the great game. I started playing a year after it was released. November 2002, a matter of weeks before CM4 came out (I got that eventually too). It was 99p. Talk about depreciation! But the copy stayed with me and although I lost the disc, I still have the box (and bought another copy and then the disc broke in half). Thanks to Champman0102, I’ve been able to play with real-time updates and I’ve never enjoyed another football management game since. Championship Manager 01/02 toes the line between minimalism and complexity. The GUI is basic but gives you everything you need with minimal clicks to the screens you need. Seasons can take a few days to get through, and with updates and patches, a few hours. You can change fonts and graphics, and live out your favourite player-related fantasies. No other game really compares. I’ve really tried with Football Manager but playing feels like a job. After 8 hours of one that actually pays, I need to relax. 01/02 gives that ease of play. Have you not played in a decade? Do you play regularly but want a challenge or a change? Then this list is for you. Championship Manager 01/02 is for life, not just for Christmas. You can pick up Championship Manager 01/02 on eBay or Amazon for a couple of quid but you can download it for free from champman0102.co.uk. The link comes with instructions on how to install. Patches – Want to play the game a bit faster, with some added colours and fixed bugs? Try installing one of the many patches available. All of them come with instructions on how to install. Tactics – Loads and loads of tactics. Hundreds of them. Some are considered “cheat” tactics, exploiting inconsistencies in the game engine. But it’s not as plug-and-play as it used to be so you’ll need your inner 2003 Claudio Ranieri to tinker things to become the 2016 Claudio Ranieri. Tools – There are numerous programs avilable to edit the game in different ways. Add yourself with the Pre-Game Editor or give your favourite players an injection of footballing super serum with the saved game editors. Or you could release every player from their club, give yourself millions, and create a super club. Training and Finances – An Alternative Guide – We take for granted that these games are made using statistical analysis but what does it all mean? This guide shows the impact of training and how finances can work in the game. The Set Pieces’s CM01/02 Everton Fiasco Save – That’s not the official title but the further you read, the more you’ll understand. The Daily Hilario: Guide to running Championship Manager 01-02 on Mac OS X – I play 01/02 on Mac with a piece of software called Crossover. Here’s how to do it. Championship Manager 89/90 – Ever wanted to travel back in time? Championship Manager 89/90 lets you do that. Simon Treanor has “updated” the game with players from the 1989/90 season which means you can relive Italia 90! 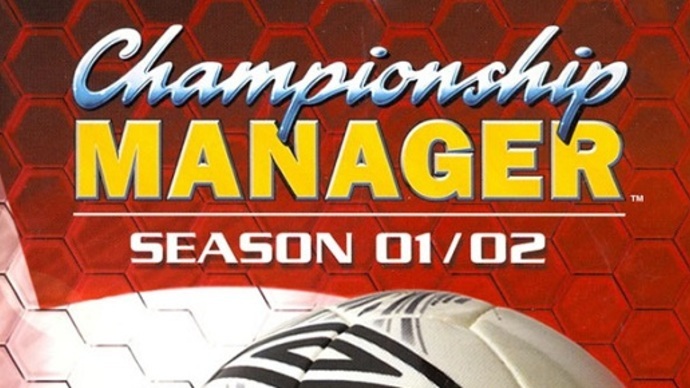 Championship Manager: Season 01/02 retrospective – An undying classic – Written in 2014, this is a review of the game reiterating everything we already know – it’s truly the best. The Guardian’s review for CM 01/02 on Xbox from 2002 – Purely for nostalgia purposes. I never played the Xbox version and given the reviews, I’m glad I didn’t. That and I didn’t actually own one. No loss I guess. Previous Previous post: Why do so many Swedish names end in -qvist?